It’s one of the biggest broker channel acquisitions in Canadian history. M3 Mortgage Group is buying broker network VERICO Financial Group. M3, which already owns Multi-Prêts, Mortgage Alliance, Invis and Mortgage Intelligence, will control an estimated 40+% of the broker market when this is done. The group’s combined submission volume will exceed $40 billion, making it the biggest mortgage originator in Canada, says VERICO founder Colin Dreyer. “The industry has consolidated around us,” notes Dreyer, who co-founded VERICO in 2005 with John Kelly. He and Kelly have watched as DLC got bought, Mortgage Alliance got bought and Invis-MI got bought. About three to four months ago, VERICO management felt it time to entertain expressions of interest from potential suitors to create synergies with a bigger organization. It used a major advisory firm to quarterback the process and M3 was the best bidder among multiple interested parties—and the most synergistic with VERICO’s brand and culture, says Dreyer. There was no purchase price announced but Verico did in excess of $16 billion in origination last year and based on those numbers and its strong brand, this author speculates that it could have been sold at a similar EBITDA multiple as other recent superbroker sales, i.e., sold in the low double-digit millions. Interestingly, B2B Bank owned a sizeable chunk of VERICO but will no longer be a shareholder. VERICO was an early pioneer in offering brokers flat-fee memberships to a broker network. “Our belief is that it’s very difficult to justify, from a franchise or network perspective, charging 5% to independent brokerage companies,” says Dreyer. Each of its member brokerages are independently owned and operated and have their own brand—and they will remain that way, he adds. more bodies to put on its MortgageBoss platform (which earns revenue when brokers submit deals to lenders). VERICO’s acquisition leaves only a handful of smaller broker networks who might still be targets for acquisition someday, including TMG The Mortgage Group, RMA, Axiom, Centum and Broker Financial Group. 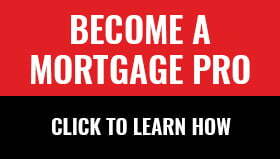 Previous ArticleWhat is the “Best” Mortgage Rate? Congrats to Colin and John, a well deserved reward after many years of hard work. Now we can sit back and watch Gary and Luc duke it out.